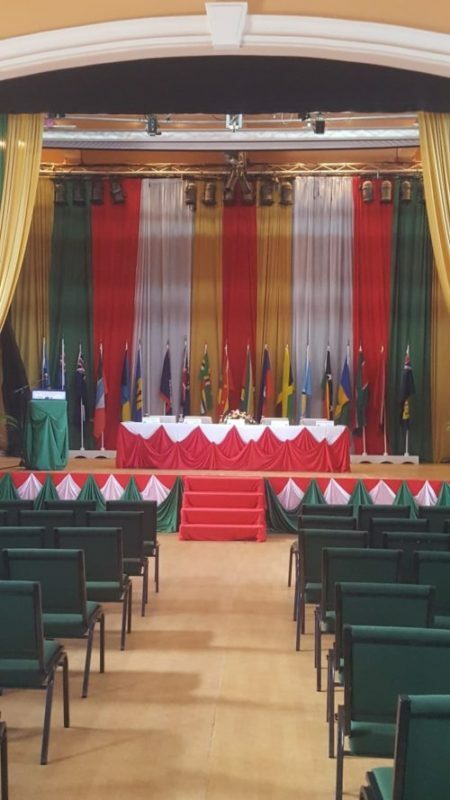 The 12thmeeting of the Ministerial council of the Caribbean Regional Fisheries Mechanism (CRFN) is being held today May 18, 2018 at the Montserrat Cultural Centre. The opening ceremony acknowledged the presence of members from the islands of Dominica, Grenada, Guyana, St. Lucia, Surinam and the host country Montserrat as part of the delegation to this meeting today. Also present is Mr. Milton Horton from Belize. The CRFM was incorporated in 2003 and made up of 17 member states. One of the main purpose of the meeting today is to review the recommendations presented by the 16thMeeting of the Fisheries Forum held on April 16 and 17 here on Montserrat, and to adopt the policies in conjunction with their mandate which is to facilitate the responsible utilization of the regions fisheries and aquatic resources– that will be expected to be implemented within the region.